This weekend, we have all been invited to a tea party to celebrate our friends' little girl's first birthday. I've often done a painting as a present for various people, but since discovering crochet, knitting and blogging my painting has been tucked to one side, and to be honest, I really miss it. Painting for me is very reliant on my mood, and not something started on a whim. I thought I would ease myself back in with a small fun present for the birthday girl. I've done a handful of these pictures before, as christening presents....hopefully, its a present that gives enjoyment for years. I start of with a faint sketch onto heavy watercolour paper, and then when it starts to take shape, I use watercolour inks to 'colour in'. What starts off looking a little unpromising, can soon start to come together. Until, you are able to look at it and feel the balance is there. It's always surprising how adding the mount and frame is all it needs to make it look good enough to give away. 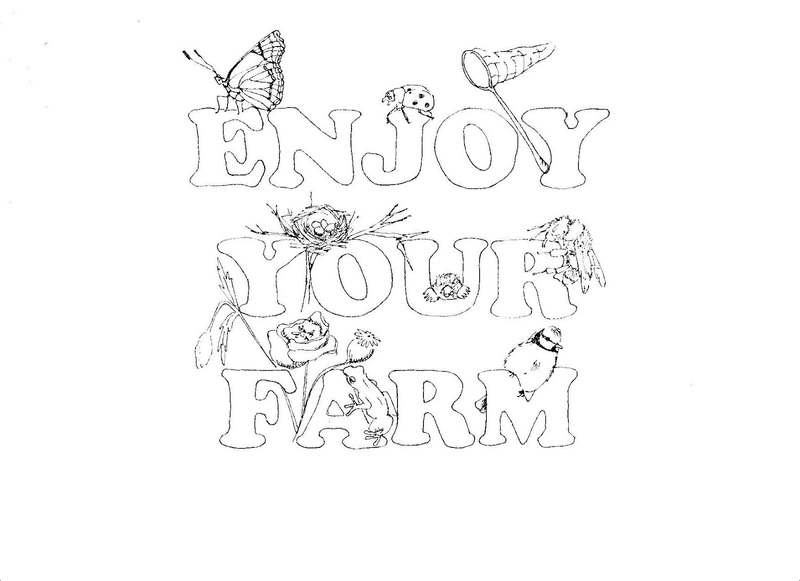 Last year, I sketched up some ideas for a local branch of agricultural advisers, they encourage farming that takes care of rare plants and wildlife. 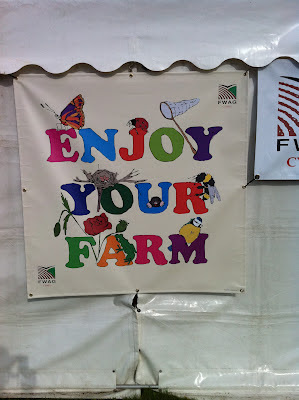 A simple sketch became a banner that is used when they do agricultural shows.....how cool is that! ....I started another crochet blanket. I am joining in with Little Woollie in making one of her gorgeous multi-stitch blankets..........awful I know....how on earth am I going to fit this in! 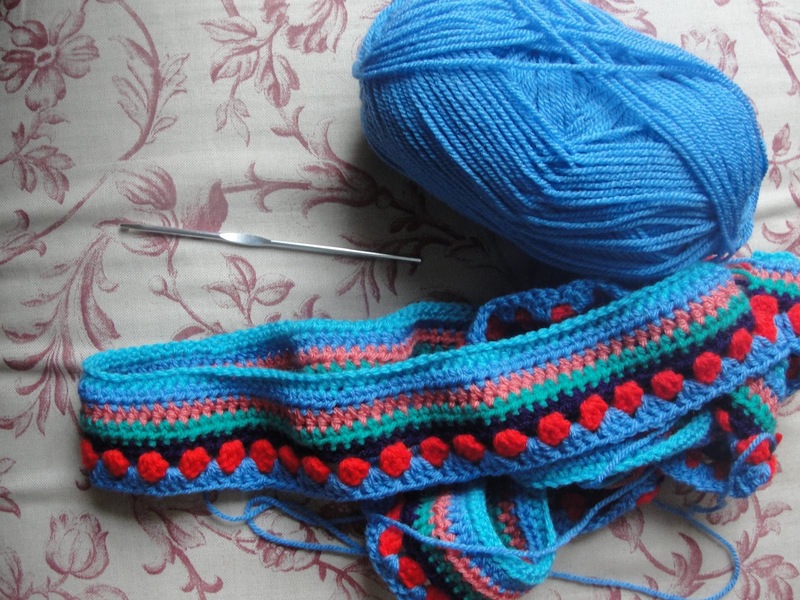 I've got to say though, it felt wonderful to be zipping along the rows.......ooooh, I do love a crochet blanket! 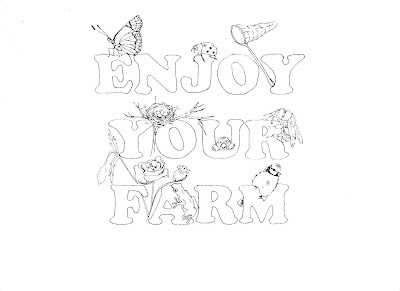 Well, we are having an away day to day to the local agricultural show.....we are going suited and booted as the past week has been torrential rain and wind (as is to be expected when it is show week!) The boys are champing at the bit to go and I'm sitting here typing. I have a fraught couple of days ahead, as the deluded parents of Ruby, have for some outlandish reason asked me to make the birthday girl's cake and a big batch of cupcakes......I have no idea what they have based their decision on....but anyone with any great tips.....step right up! Catch up soon with pics of THE cake!! What an absolute wonderful birthday present and something she can enjoy for many years. From someone who can only draw stickmen and very poorly at that I admire anyone who can sketch and paint. How cool is that banner and from your sketch you must be so pleased. I think you'll rock out a great cake...for ideas for little girls..how about heart, butterfly, flower or something spotty or with bows..I cheat on the heart and flower and have shaped tins lol. Best of luck with it and I can't wait to see what wonderful creation you come up with and loving the blanket. You are so talented! I love how your blanket is coming along so far. Wow, what a fabulous painter you are! I wish I could draw or paint! Beautiful work Faith...your card really is so pretty...you must do more painting! I love the colours in your new blanket too...such lovely vibrant shades...it's going to be beautiful. 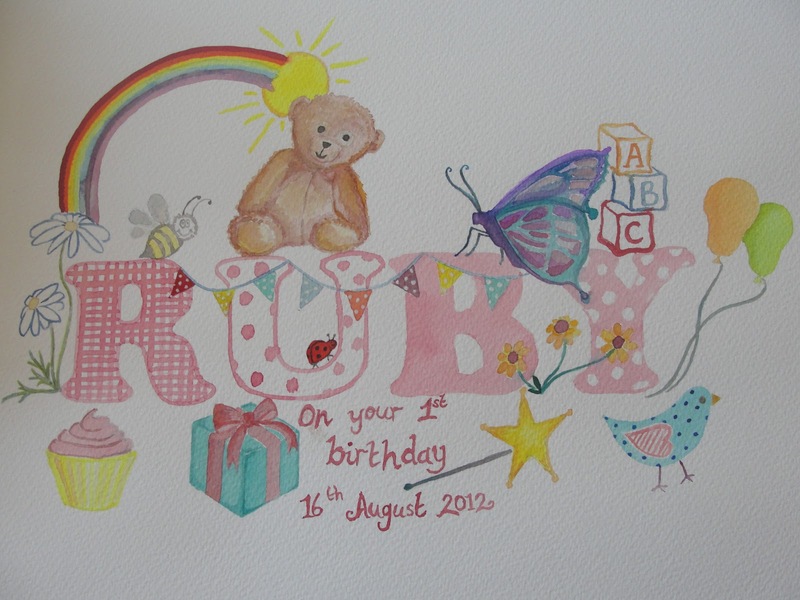 Your painting is just gorgeous, perfect for a one year old and such a lovely, personalised gift. 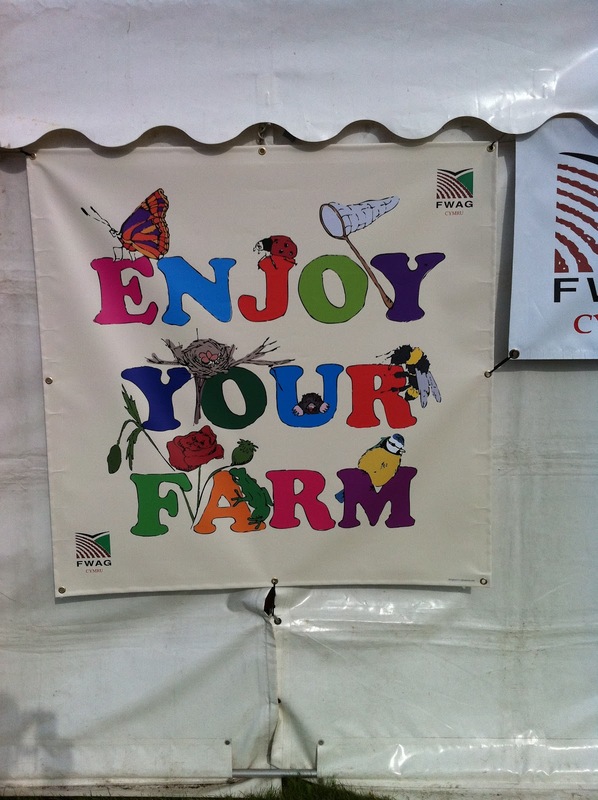 If must give you a buzz when you see that farm banner around the place. Wow, I can see you have been very busy and everything is so beautiful! Your paintings are really lovely, I can see why you would miss doing them, but your crochet projects are also lovely. The new blanket is gong to be a stunner and I love your owl as well.